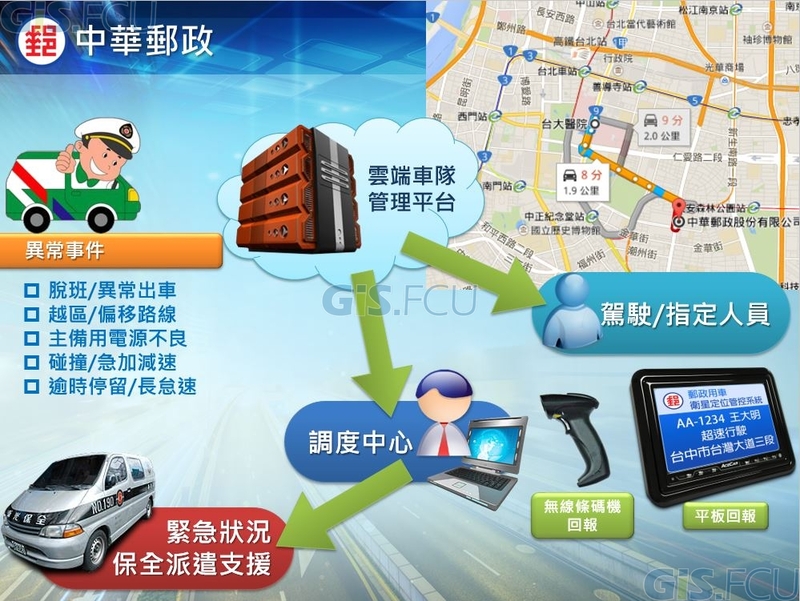 SkyEyes Holistic Transport Resources-Integrated Platform is the first ERP (enterprise resource planning) system for transportation industry in Taiwan. 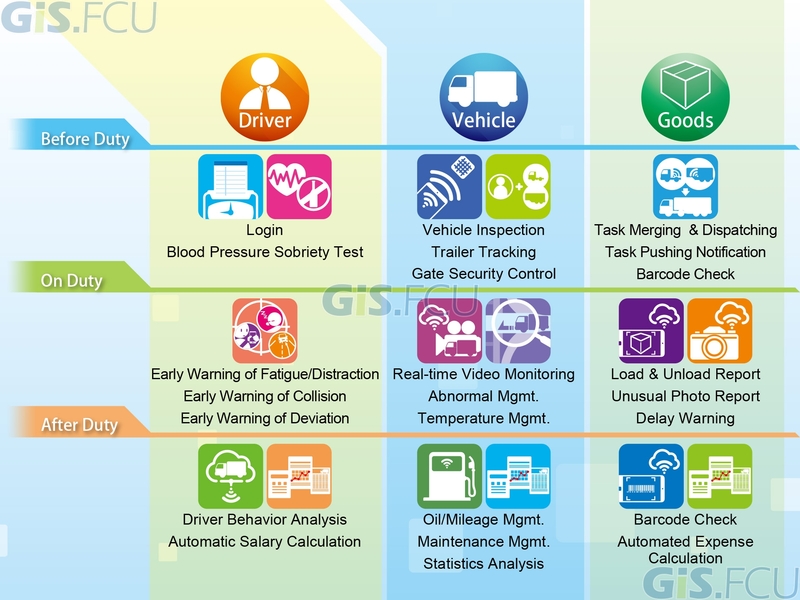 The System integrates technologies like Easymap, focus monitoring, real-time monitoring, real-time imaging, speeding detection, near-field communication (NFC), electronic fences, route deviation detection, real-time traffic, cloud storage, real-time freeway image, cargo status uploading, online check-in, green vehicle management, automatic dispatching, signal forwarding, and customized reports, which provides clients great services in different industries. 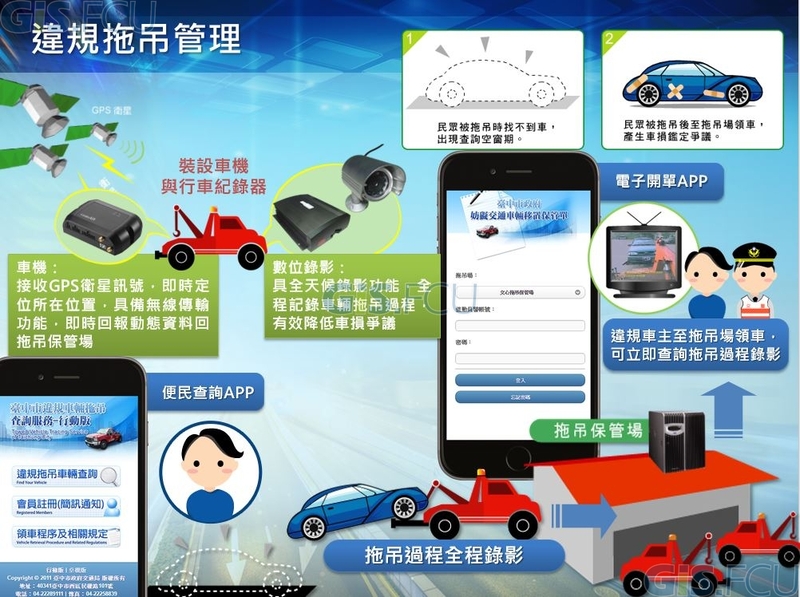 The service is provided to domestic transportation firms and commercial fleet in Taiwan for instant vehicle monitoring, operation analysis and management. 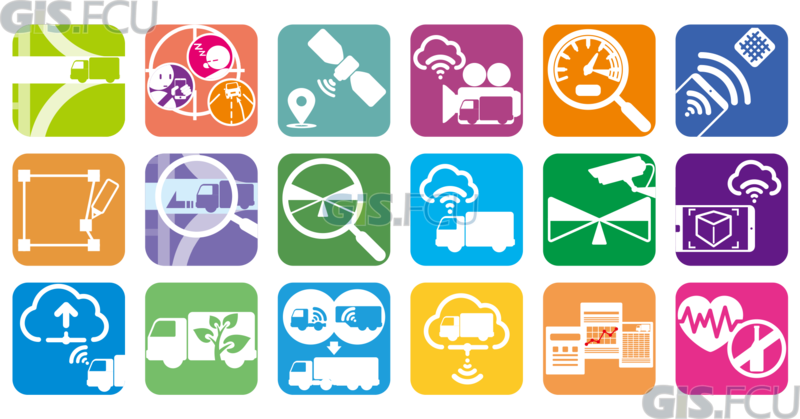 Incorporating real-time image transmission technology, this service creates an integrated and comprehensive transportation management system of the next generation that is cloud-based, mobile and intuitive. With versatile applications, it also assists in transportation related affairs in the public sector. 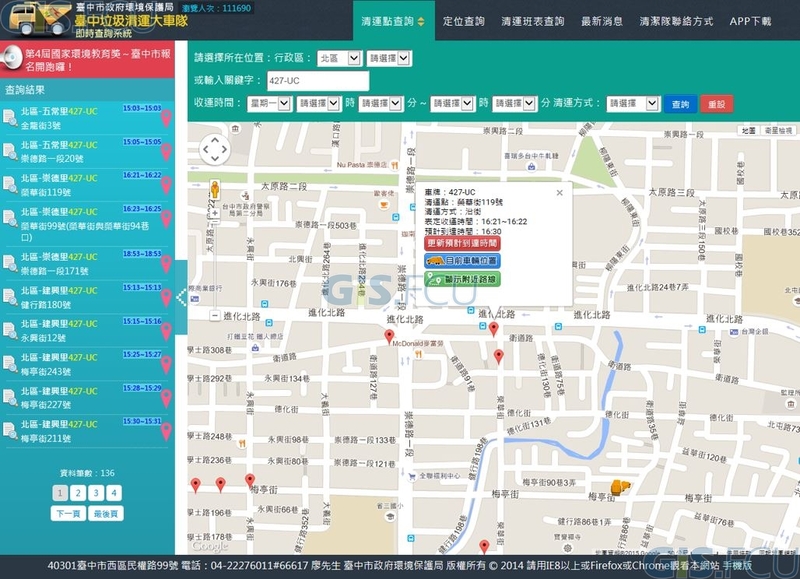 Simple management platform for vehicle tracking. Platform for monitoring garbage trucks in real time. Platform for managing the towing of vehicles. Towing operations are recorded by digital cameras that are attached to the towing vehicles. 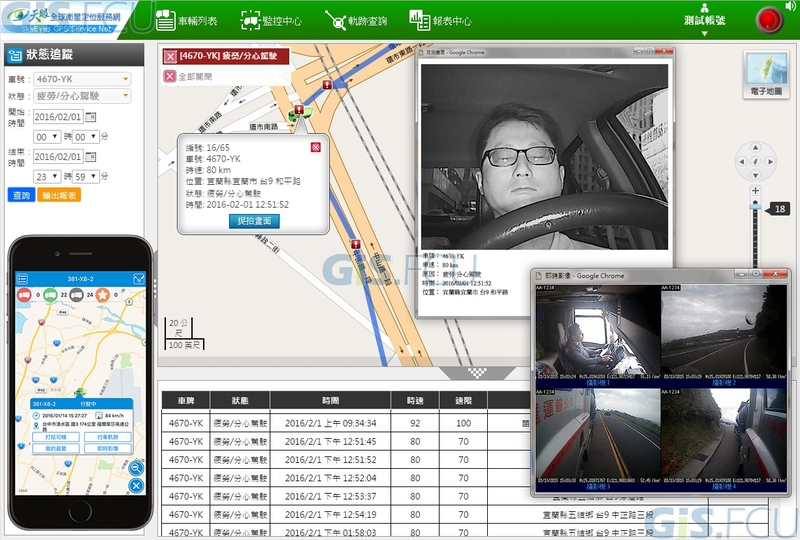 System for monitoring postal vehicles and prevent dangerous driving. Automatic dispatching system for making on schedule deliveries. Real time tracking of vehicles. Minimizes the operating cost.